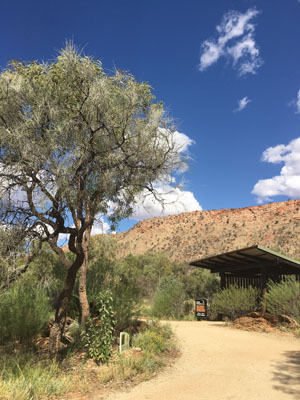 Open woodland grows on the sandy soils flanking the rocky ranges of Central Australia. 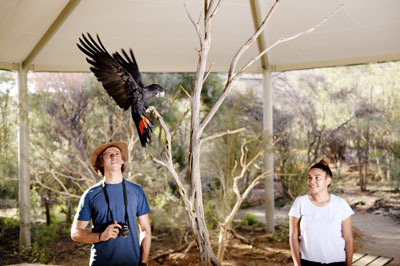 It is the natural habitat surrounding Alice Springs and occurs naturally throughout the Desert Park. Runoff from the ranges has produced soils that are better than average in this arid and generally infertile land. Well-spaced trees such as bloodwoods, ironwoods, beefwoods and corkwoods dominate the landscape; underneath them grow a variety of grasses and herbs, making this prime real estate for herbivorous mammals, and therefore good hunting grounds for people. The flowering trees are a source of food for nectar eating birds, so the woodlands support a wider variety of birds than the sand country. 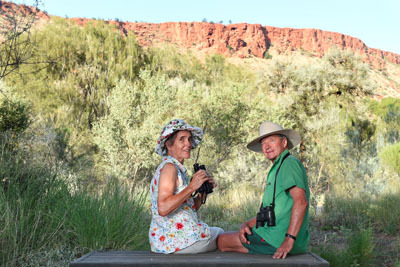 The Arrernte Aboriginal people have lived along the side of these ranges continuously for thousands of years. 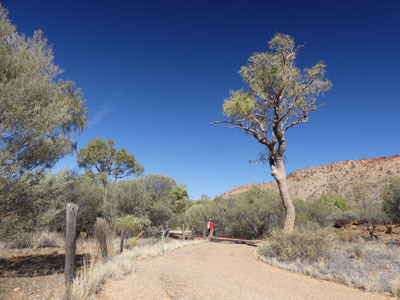 Woodlands have a high diversity of food sources for animals and people (seeds, fruits, nectar and insects) were the richest source of timber and artefacts for Aboriginal people.